This story was originally published by Ghana News Agency. 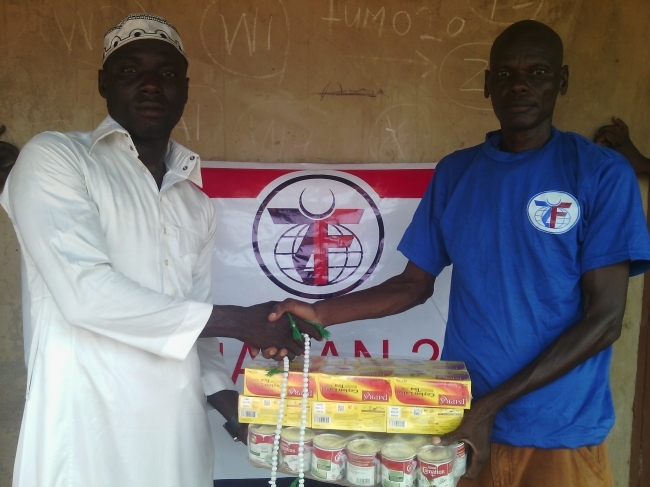 Accra, Sept. 15, GNA – The Zakat Foundation (ZF) of America has distributed sacrificial meat to a number of poor Muslims drawn from low income communities in Ghana, Ivory Coast and Burkina Faso. A statement signed by Mr Habib Abubakar, the Country’s Programme Manager of the Foundation, which is based in Chicago-United States and copied to the Ghana News Agency in Accra on Thursday said. It said the assistance, which is an annual event was part of the food security and nutrition development responsibilities of ZF to respond to the needs of the less privileged in the society. The statement quoted Mr Habib Abubakar explaining the presentation as “UDHIYA”. He said “UDHIYA” as an Arabic word which means sacrifice and it is marked by Muslims as a solidarity and charity gesture between families and friends as well as people in need of help. “During UDHIYA, animals are slaughtered as a reminder of the Prophet Abraham’s willingness to sacrifice his son Ishmael to Allah as an act of obedience and submission. “In Ghana, about 1,102 packages of meat were distributed to poor families, targeting total individuals of about 5,510. In Ivory Coast, about 225 packages, targeting 1,125 individuals and in Burkina Faso, about 262 packages, targeting 1,310 individuals,” it said. According to the statement, to overcome this phenomenon, ZF has for the past 13 years been using its network in Ghana, Ivory Coast and Burkina Faso in organising UDHIYA support. A beneficiary, Fatima Osman, a mother of three receiving her share said she would be making use of the meat donations. “My husband does not earn enough to feed our three children, along with other expenses, hence, sometimes our children do not get good food especially meat, but on occasions such as Eid we get to enjoy good food. “There are so many families like us who are struggling with terrible financial conditions in this Slum Zongo Community; we thank Zakat Foundation of America for helping us enjoy the Eid,” she said. Zakat Foundation of America is an Islamic charity organisation based in Chicago, and support’s community-based groups and organisations including women and socially marginalised groups in the society.